Plus, short- and long-term ways to deal. RIP, bad hair days. You used to torture us, but these days? Not so much. Bobby pins, topknots, cute hats: The options to conceal misbehaving strands are endless (or just leave ’em as is—messy bedhead has never been chicer). 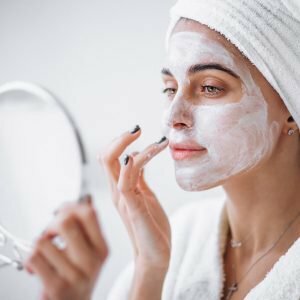 If you woke up with a face full of breakouts, however, hiding is harder—it’s not as if you can casually throw on a ski mask. And while well-meaning social media movements like #makeupfreemondays are meant to highlight natural beauty, they also present incredible pressure for selfie-ready skin. “This kind of moment-to-moment monitoring of the skin leaves us vulnerable to negative self-appraisals,” explains Dr. Rick Fried, a Yardley, Pennsylvania, dermatologist and psychologist. 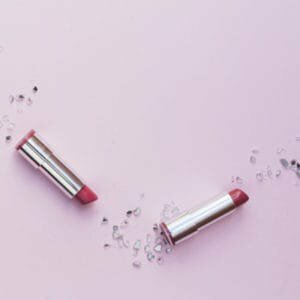 “The images we see of ourselves often elicit self-talk that torments us on an ongoing basis.” This is particularly true for women dealing with chronic inflammatory skin issues like eczema and acne, which are—anecdotally, according to dermatologists—on the rise. 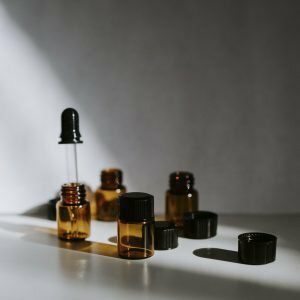 The derms we interviewed for this piece said they get e-mails and phone calls every day from women who wake up upset over complexion outbreaks of all kinds, which piles of research show can stoke depression and anxiety disorders. It’s a troubling cycle: Because of their effect on our hormones, those negative feelings only make these inflammatory skin problems worse. So we asked our dermatologist panel for the skin issues that cause the most emotional distress in their patients, then got the best instant and long-term solutions to help you deal physically and mentally should they affect you. The bad-skin cycle stops here. If only acne got left behind in teenagedom with crushes on people named Jonathan. In reality, it affects more than half of women over 25 and is public enemy number one on the skin-panic list. Changing hormone levels in adulthood can lead to increased oil production, which, coupled with the more sluggish cell turnover that comes with age, mixes with bacteria and can lead to pimples. Since the bright colour is often what gives a bump away, “dab a little Visine” on it right away (it constricts blood vessels so they aren’t as visible), says Dr. Mona Gohara, an associate clinical professor of dermatology at Yale University. Next, hold an ice cube on the spot for a minute to shrink the size, suggests NYC dermatologist Julie Russak. At night, slather on a nonemollient retinoid formula; it boosts cellular turnover, preventing pores from clogging. Like a skittish cat stroked one too many times, skin with eczema can tip over at any second to full freak-out mode—a red, itchy, dry rash, particularly on the cheeks and nose—whether due to sweat or some irritant in the air. If you’ve got it chronically, the cause is a missing protein (filaggrin) in the skin barrier; this allows moisture to leech out and inflammatory factors to seep in. But pretty much anyone can dabble in the disorder—there are temporary forms of it that result simply if your skin’s outer layer is disturbed (if, for instance, you face-masked too hard last night). Pat on a thin layer of a 1 percent hydrocortisone cream, to bring down redness. Hold a lukewarm washcloth on top of it for up to 10 minutes to help the formula penetrate more quickly before washing it off with a gentle cleanser. Then apply a basic moisturiser to seal moisture in and irritants out (avoid anything that says “anti-ageing” because it’s likely packed with aggravating actives). Note: You shouldn’t use hydrocortisone, a steroid, for more than a week at a time because it can thin the skin; if the flare-up isn’t improving, see a dermatologist. 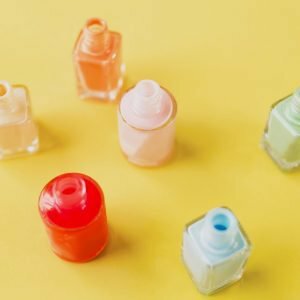 Be sure to use fragrance-free products: a cleanser that’s pH neutral (the label could also say “pH balanced”), and a moisturiser containing ceramides to “help your skin rebuild itself,” says Russak. The ceramides fill in skin cracks like mortar between bricks. Picture a recurring bad sunburn: Rosacea causes increased blood flow to skin’s surface, accompanied by severe heat, swelling, pustules, and blood vessels that can become enlarged over time. It can spread across cheeks like wildfire, or it can appear mildly, just at the corners of the nose. Pretty much anything that boosts blood flow can lead to flushing, whether drinking white wine or hitting a boot camp class. And if you’re a woman, you’re at a much higher risk of developing rosacea than a man, particularly after 30, due to hormone flux. Grab a Coca Cola! “You can bring down the dilation of blood vessels and flushing by putting something cold at the crook of your neck. That’s where the receptors for temperature regulation for your face are located,” says Gohara, who advises using a cold beverage can or water bottle. In addition, press in a lotion with anti-inflammatory properties. Identify your specific triggers and steer clear of them. For many women, it’s the sun. Be extra vigilant with SPF and use a ‘screen infused with niacinamide; this ingredient decreases redness by strengthening skin. For more severe cases, Russak often prescribes, an anti-inflammatory cream that can be used daily. She’s also seen great success with a series of mild laser treatments like IPL (intense pulsed light). They shrink the redness-inducing blood vessels.